Starting a new job is exciting, challenging, and a bit nerve-racking. Because let’s be honest – you never really know what a job is going to be like until after you’ve signed on the dotted line. Lucky for me, before I ever made my final decision to work with Laire Group, Todd Laire, our Managing Partner, patiently answered my many, many questions. He even assured me that, if I accepted the position, I could work in the conference room next to the big window whenever I wanted to. (I told you I asked a lot of questions.) 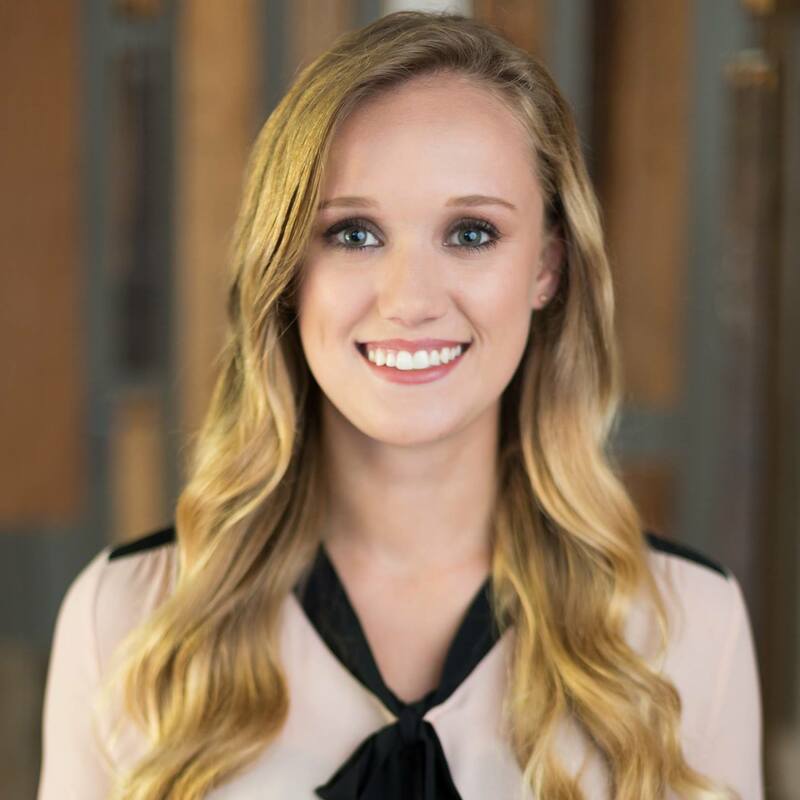 Before long, the decision to join the Laire Group Marketing team became a no-brainer. From day one, I walked into the office with a positive outlook and big expectations. I looked forward to a job that would allow me to put my social media marketing, writing, and strategy skills to work. I expected to work in an environment that facilitated and encouraged continued learning and growth. Most importantly, I couldn’t wait to work alongside a team of other motivated, results-driven digital marketers. I’m happy to say that after three fast-paced, fulfilling months, working at Laire Group has not only met my lofty expectations – it has exceeded them. Read on for 3 key takeaways from my first 90 days as Digital Marketing Account Manager at Laire Group. Laire Group’s team has worked hard to create a high-trust culture. Working in an environment that is free of deception, micromanagement, and toxic competitiveness does wonders for productivity, collaboration, and overall team morale. Laire Group has adopted multiple habits and procedures that contribute to keeping the environment as trusting as possible. Starting on my very first day at Laire Group, Todd asked when I’d like my first “check-in” meeting to be. These meetings aren’t to check in on my clients’ performance or to slap me on the wrist for a mistake I made. On the contrary, check-ins are simply to talk to Todd about how I’m doing. These meetings give me an opportunity to communicate any frustrations or doubts I may have, so they can be resolved. Knowing I have the choice to say what I need to say is extremely freeing, and eliminates distractions caused by uncertainty about my role, my standing in the company, or issues I may be having with a project. Secondly, every member of the Laire Group team is empowered to play a key role in company decisions. Decisions are not made for us – they’re made with us. For example, in my first 90 days, Laire Group was in the process of revamping our website with a brand new look, a new structure, and new content. Instead of each employee sending individual, competing ideas to management for approval, our team collaborated to create a website that we’re all extremely proud of. Each employee’s opinion held equal weight. Working with a group of supportive, brilliant marketers to complete a project like this fosters a sense of pride, not only in ourselves, but in our company. Third, Laire Group employees are trusted with challenging tasks. There’s a difference between being given a task, and being trusted with a task. It’s easy to ask an employee to do something, and then look over their shoulder every step of the way. At Laire Group, I have been handed big, consequential projects, tasks, and clients, and not one person has expressed doubt in my ability to succeed. The result? I am more confident in myself, and more motivated than ever to do great work, for myself, for my clients, and for my awesome company. Fourth, I am encouraged to continue learning and honing my skills. Even before my first day at Laire Group, I received an email with a ticket to Digital Summit, a digital marketing conference. I thought it must have been a mistake, but sure enough, Laire Group had already reserved my spot! This “always learning” approach continues. Our team has been given a 2019 budget to attend conferences across the nation. We also have a designated “Learning Day” each quarter, where every team member dedicates the day to earning a certification. 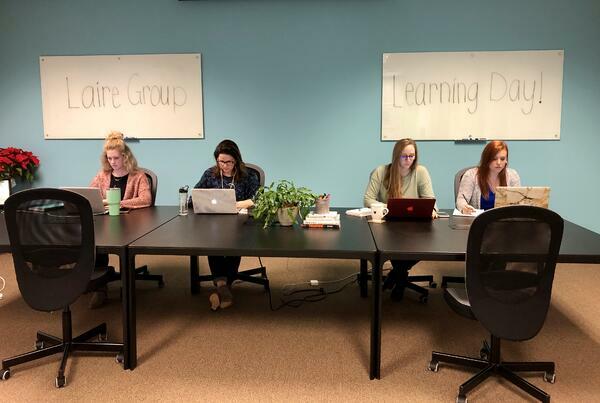 In short, Laire Group loves learning. This deeply engrained sense of trust and unwavering support between every member of the Laire Group team has fostered a culture filled with respect that I am psyched to be a part of. Since working at Laire Group Marketing, I’ve picked up productivity skills that have completely changed the game for me. In a nutshell, my job entails developing and executing comprehensive marketing plans for my clients. This means building content calendars, writing social media posts, creating graphics, writing blogs, editing photos, writing email newsletters, creating digital ads, writing website copy – the list goes on. I’m extremely passionate about what I do, so every item on my to-do list is extremely important to me. Because of this, I used to find myself bouncing from one task to the next in an effort to get everything done as quickly as possible. It turns out, this isn’t the most efficient way to get sh** done. In fact, every time you switch tasks, your brain needs about 25 minutes to refocus. That is some serious time wasted. Thanks to some guidance from our wonderful Client Services Director, Lisa Morgan, and a little research – I have discovered my new best friend: task batching. Task batching is a time management system that boosts productivity, creativity, and concentration while reducing distraction, anxiety, and exhaustion. How do you do it? Simply batch similar tasks together. For example, I will schedule 4 hours of my day to writing and scheduling social media posts. Sometimes, I’ll even take it a step further, and batch similar kinds of social media posts together. Then, I may take another four hours of my day to create and optimize Google and Facebook Ads. Approaching my to-do list this way makes me work faster and smarter. I may have been the queen of multi-tasking in previous positions, but now that I’ve discovered task-batching, there’s no going back. Within my first few weeks at Laire Group, I was asked to speak about social media marketing at the Southern Textile Association’s Fall Meeting. This was an excellent opportunity to work on my public speaking skills and spread the word about social media marketing, but speaking at this event would mean taking half a day off work. As a new employee, I was uncertain what Todd’s reaction would be when I asked to skip work. His response to my request? Todd even volunteered to attend the event to provide moral support and take photos and videos. Lisa helped me find the perfect template for my presentation, and provided feedback as I created it. I quickly learned that at Laire Group Marketing, it truly never hurts to ask. To further illustrate this – in the last 90 days, I have had candid conversations with management about my struggle to pay for health insurance, and the frustration I felt that I didn’t always have the technological tools I needed. Laire Group Marketing now offers an HRA plan and a technology allowance to their employees. Talk about being heard. As you can tell, my first 90 days at Laire Group have changed the way I think about and approach work in the best way possible. I’m beyond excited to continue learning and growing with this company in my next 90 days and beyond! A nerd for content strategy and analytics, Diana is an energetic digital marketer with a passion for using words to make connections. She has experience growing the digital presence of a wide variety of clients, from local lifestyle brands to international B2B and B2C brands. Diana has a perpetual drive to learn more, motivating her to consistently bring new technology, creativity, and fresh thinking to her clients’ strategies. Diana embraces change, and loves to use data to propel existing marketing plans forward.